Manila Born and Bay Area raised Pastry Chef Clarisse Dames is the Pastry Chef for tech startup Weebly. 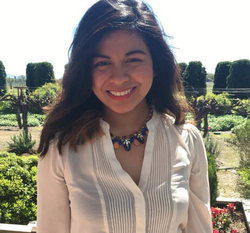 Clarisse graduated from the Culinary Arts program at the City College of San Francisco and quickly started her pastry career with an externship at Knead Patisserie in San Francisco. She then worked her way towards helping to lead the pastry program at B Patisserie and the Locanda & Delfina Restaurant group. Clarisse lives and works in San Francisco with her Fiancé, 1 year old son Isaiah, and their dog Charlie. She hopes one day soon to open her own patisserie and flower shop.